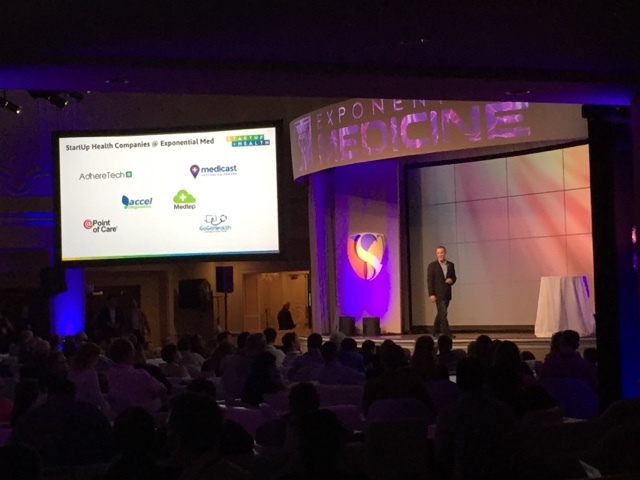 I haven’t had a chance to write for a few years as I’ve been creating a truly groundbreaking company that preserves the sacred relationship between the physician and the patient. During these 2 years we’ve learned many lessons, none greater than the ones taught by my business partners. 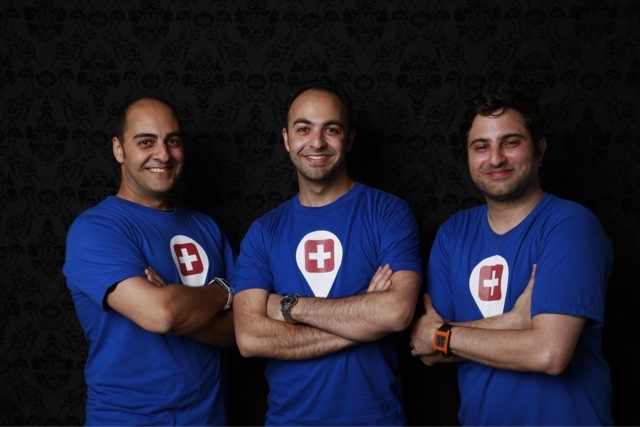 We are the first mobile company to facilitate housecall visits between patients and doctors utilizing technology. 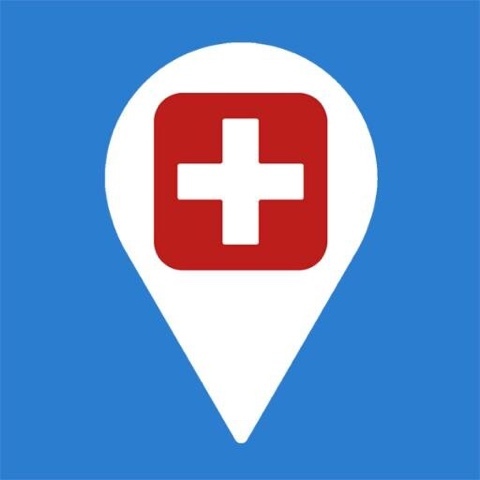 We are currently working with hospitals and healthcare systems to bring back the timeless housecall visit. Looking forward to continuing my journey with you! 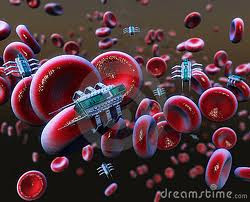 Modern medicine is once again turning to nanotechnology to help our bodies help themselves. A new device comprised of nanoparticles monitors blood sugar levels and releases insulin when sugar levels get too high. 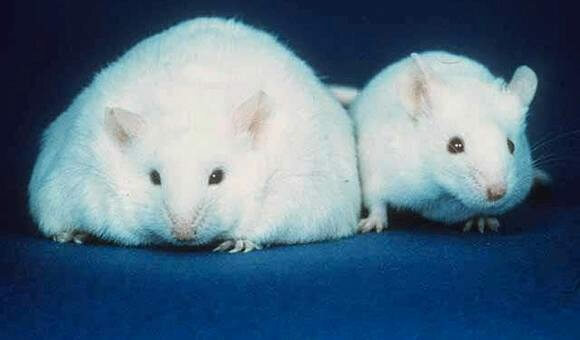 It has already been shown to work in mice. If it does the same for humans, keeping people with type 1 diabetes healthy could be a simple matter of swallowing a pill. While the exact cause of type 1 diabetes is unknown it is thought to be an autoimmune disorder in which the body attacks cells in the pancreas that produce insulin, a hormone that causes blood sugar to be taken up by cells and used for energy. In type 1 diabetes the pancreas makes little or no insulin, leading to high levels of sugar in the blood which can lead to blindness, limb amputation and kidney failure. Untreated, the disease is fatal. Right now type 1 diabetes patients have to receive insulin shots, several times a day, for the rest of their lives to keep blood sugar levels under control. And there’s added risk if the patient’s dose isn’t correct – too much insulin is harmful too. The new device would relieve patients of the need to monitor and control their own blood sugar levels by controlling them automatically. It is comprised of a network of nanoparticles that releases insulin into the blood in response to changes in blood glucose levels. Each of the nanoparticles have a core of insulin, a charged molecular chain called dextran and the enzyme glucose oxidase. When blood glucose levels are high, glucose oxidase breaks the sugar down into gluconic acid, which then breaks down the dextran chains to release insulin. The gluconic acid and dextran are broken down by the body and the released insulin returns blood sugar levels back to normal. The degradable nano-network was shown to work in mice where a single injection kept blood glucose levels normal for a minimum of 10 days. “This technology effectively creates a ‘closed-loop’ system that mimics the activity of the pancreas in a healthy person, releasing insulin in response to glucose level changes,” Zhen Gu, lead author of the study and an assistant professor in the joint biomedical engineering program at North Carolina State and University of North Carolina Chapel Hill, said in a press release. The study was published recently in the Journal of Agricultural and Food Chemistry. The next step, the researchers say, is to test the technology in humans. The current technique works in principle similarly to the ‘Silicon Pancreas,’ a microchip that regulates blood sugar levels by mimicking both the insulin-producing beta cells and glucagon-producing alpha cells in the pancreas. The current technique is more elegant in its simplicity, however, as the Silicon Pancreas requires a separate blood sugar level monitor embedded in the skin. Diabetes affects 366 million people worldwide. It’s the seventh leading cause of death in the United States where 25.8 million children and adults, or 8.3 percent of the population, have the disease. And as people continue to grow in size, so will diabetes as an epidemic, and devices such as the one developed by Dr. Zhen and colleagues will be needed more than ever. BY CHRISTOPHER VAUGHAN - Building on previous research showing that cancer cells send signals to the immune system to avoid being attacked, Stanford scientists have engineered new molecules that are highly proficient at neutralizing those signals. The molecules dramatically increase the effectiveness of certain existingcancer therapies and may open up other avenues for treating cancerusing patients' own immune systems. School of Medicine researchers have previously shown that CD47, a molecule found on the surface of many cancers, acts as a "don't eat me" signal that protects the cancer from roving immune cells called macrophages. The scientists found that when they used drugs to block this "don't eat me" signal, macrophages engulfed and destroyed the cancer cells. More recently, Stanford scientists wondered if they could engineer molecules that block the signal more effectively. They began by modifying a protein called SIRP-alpha, which is found on macrophages and is the natural receptor for CD47. In a paper published online May 30 in Science, a team of scientists working with professors Christopher Garcia, PhD, and Irving Weissman, MD, report that they have engineered new versions of SIRP-alpha that bind much more strongly to CD47 than the natural version of the molecule, making them extremely potent blockers of the "don't eat me" signal. Two MD/PhD students in the Stanford Medical Scientist Training Program — Kipp Weiskopf, MPhil, and Aaron Ring, MS — devised the strategy for engineering these new molecules and were lead authors of the Science paper. "This is the best example of how science and medical trainingcan lead to discovery and medical translation," said Weissman, professor of pathology and of developmental biology. "Weiskopf and Ring fleshed out the ideas that led to this project, bringing the complementary expertise of our groups together." The engineered SIRP-alpha variants bind approximately 50,000 times more strongly to CD47 than native SIRP-alpha, making them highly potent drugs, Weiskopf said. But the researchers found blocking the CD47 "don't eat me" signal is not, by itself, enough to stimulate macrophages to attackcancer cells. Instead, the group demonstrated that blocking CD47 boosts the activity of macrophages when a second "eat me" signal is provided. This signal can be provided by certain anti-cancer antibody therapeutics, many of which are already approved by the FDA and in use clinically. These findings have tremendous therapeutic implications, Ring said, because the high-affinity SIRP-alpha molecules could selectively boost the destruction of cancer cells by these antibody therapies, without increasing toxic side effects such as the destruction of healthy, non-cancerous cells. The authors found that their engineered SIRP-alpha molecules would enhance a number of widely used antibody therapies such as rituximab (which targets certain lymphomas and leukemias), trastuzumab (which targets certain kinds of breastcancer) and cetuximab (which targets certain kinds of head and neck cancer and colon cancer). When physicians used an anti-cancer antibody like these to fight cancer, the antibody's "eat me" signal to the macrophage is fighting against the cancer's "don't eat me" signal coming from the CD47, the researchers explain. When the high-affinity SIRP-alpha binds tightly to the CD47 molecules on the cancer, it takes the brakes off the macrophage attack on the cancercells. "When physicians use an anti-cancer antibody like trastuzumab to fight breast cancer, the 'don't eat me signal' from CD47 on the cancer limits the effectiveness of the antibody," said Ring. "Potentially, any anti-cancer antibody that stimulates immune cells could benefit from this combination therapy." In one experiment, when either rituximab or the high-affinity SIRP-alpha variants were used by themselves on mice with human lymphomas, they were only able to slow tumor growth. 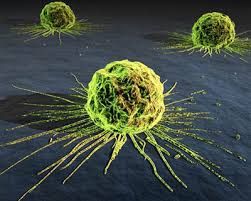 However, when the two therapies were combined, researchers found they were able to eliminate the tumors completely. "Antibodies are like guided missiles in terms of targeting cancercells," Weiskopf said. "By combining them with the high-affinity SIRP-alpha variants, you are adding high-explosive warheads to those missiles ." The researchers hope that their work with high-affinity SIRP-alpha molecules will lead to more effective targeted-cancertherapies in the clinic. "This work further validates the strategy of targeting CD47 to enhance macrophage attack of cancer," according to Weissman. "This strategy must still be tested in humans to evaluate safety, but anti-CD47 antibodies are on schedule for the first trials in patients next year." Other authors of the paper include graduate student Chia Chi M. Ho; instructor Jens-Peter Volkmer, MD; former postdoctoral scholar Aron Levin, PhD; postdoctoral scholars Anne Kathrin Volkmer, MD, Engin Özkan, PhD, and Nathaniel Fernhoff, PhD; and Matt van de Rijn, MD, PhD, professor of pathology. This work was supported by the National Cancer Institute, theNational Institute of Diabetes and Digestive and Kidney Diseases, the Stanford Medical Scientist Training Program, the School of Medicine's SPARK program, the Deutsche Forschungsgemeinschaft, the Joseph & Laurie Lacob Gynecologic/Ovarian Cancer Fund, the Virginia and D.K. Ludwig Fund for Cancer Research and the Howard Hughes Medical Institute. Responsible for more than 75 percent of skin cancer deaths, melanoma is a cancer of the skin, which affects the melanocytes (pigment carrying cells of the body). A new study now suggests that this dangerous cancer may be easily detectable - by odors from skin cells. The study, carried out by a team of researchers from the Monell Center revealed two new ways to help early detection of skin cancer- by odors emitted by human skin, and by using a nanotechnology-based sensor that could differentiate between normal skin cells and melanoma skin cells. "There is a potential wealth of information waiting to be extracted from examination of VOCs associated with various diseases, including cancers, genetic disorders, and viral or bacterial infections," senior author George Preti, PhD and an organic chemist at Monell, noted.The researchers took into consideration the fact that human skin produces a number of airborne chemical molecules, also known as volatile organic compounds (VOCs), many of which emit odor too, and put it to use as an early melanoma detection tool. For this study, the researchers made use of sophisticated analytical and sampling techniques that helped detect VOCs emitted from melanoma skin cells at different levels of progression of the disease. They also sampled VOCs emitted from normal skin cells by using an absorbent device. Analysis of these VOCs was done using mass spectrometry and gas chromatography techniques. To translate the results obtained from the VOC analysis into a diagnostic analysis, a reliable and portable sensor would be required, to which, the researchers used a nano-sensor. The nano-sensor was made up of two nano-sized tubes that were coated with strands of DNA. The use of DNA as a sensor could be clarified by the fact that DNA tend to act as a wonderful sensor, which makes identification of the target easy. The results so obtained revealed a stunning fact- human skin cells emit odor different from that of melanoma skin cells; a new early diagnostic tool which may help cut down death rates due to melanoma considerably. "This study demonstrates the usefulness of examining VOCs from diseases for rapid and noninvasive diagnostic purposes," Preti said. "The methodology should also allow us to differentiate stages of the disease process." The study is now published in the Journal of Chromatography B. (Nanowerk Spotlight) Despite significant advances in the medical/surgical management of severe thermal injury, wound infection and subsequent sepsis persist as frequent causes of morbidity and mortality for burn victims not only due to the extensive compromise of the protective barrier against microbial invasion, but also as a result of growing pathogen resistance to our therapeutic options.Burn wounds are further complicated by injury induced suppression of the immune system, further facilitating localized colonization and systemic entry of microbes from both endogenous and exogenous origins. Candida yeast species represent a prevalent threat to these patients, many variants demonstrating resistance to first line systemic antifungal treatments as these medications are not directly toxic, but instead inhibit yeast growth through a single mechanism of action.Therefore, innovative therapies are urgently needed that overcome mechanisms of pathogen resistance, and are easily administered without concerning systemic side effects.Nanoparticles represent a practical platform through which both established drugs and novel agents can be encapsulated and delivered more effectively or via new routes to target and reach pathogen cells/machinery with greater success then their macromolecular counterparts.In a paper published in the June 14, 2013 online edition of Nanomedicine: Nanotechnology, Biology and Medicine ("Amphotericin B releasing nanoparticle topical treatment of Candida spp. 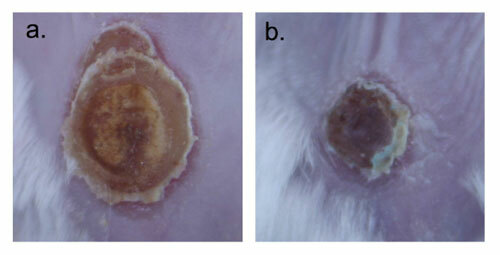 in the setting of a burn wound") we demonstrated that encapsulating Amphotericin B, a intravenously administered potent fungicidal polyene macrolide, in nanoparticles increased its killing impact against numerous candida species, was more effective at preventing candidal biofilm formation, and cleared a mouse burn model infected with candida more effectively than solubilized amphotericin. Images were taken on day 9 after infection. a) is topically applied solubilized Amphotericin B and b) Amphotericin B nanoparticle applied. (Images: Dr. Friedman, Montefiore - Albert Einstein College of Medicine)Materials at the nanoscale have a greater likelihood of interacting with their desired target, here, the cell wall, and therefore the payloads have greater efficacy. Furthermore, the nanoparticles themselves can physically damage pathogen structures and prevent cell-to-cell communication and sharing of resources, offering synergists but different antifungal properties.Encapsulating amphotericin in nanoparticles not only made it more effective, but also allowed for it to be directly and topically applied to a wound – an option not currently available. Systemic delivery, while very effective, comes at a great cost as amphotericin has multiple well established side effects and toxicities associated with its use.Our team here at Einstein represents a broad range of expertise calling from multiple departments including medicine (infectious diseases, dermatology), physiology and biophysics, and immunology and microbiology, highlighting the multidisciplinary nature of nanotechnology research. Other authors included David Sanchez; David Schairer; Chaim Tuckman-Vernon; Jason Chouake; Allison Kutner; Joy Makdisi; Joel Friedman; and Joshua d Nosanchuk.By Dr. Adam Friedman, Assistant Professor of Medicine (Dermatology)/ Physiology and Biophysics, and Director of Dermatologic Research at Montefiore Medical Center - Albert Einstein College of Medicine.